David has nearly forty years of educational experience as a teacher, senior manager, local authority consultant and school improvement adviser. His work with individual and groups of schools across the UK and abroad is always focused on ways of achieving improved outcomes for pupils through the professional development of teachers. 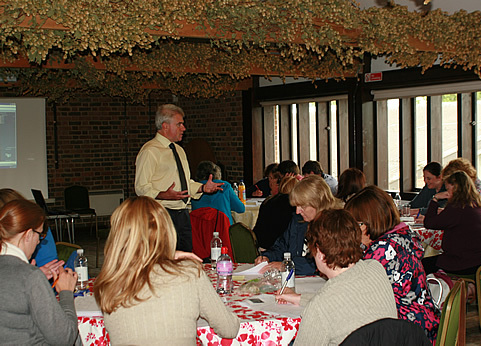 David’s annual training programmes around the country attract hundreds of teachers and receive outstanding evaluations. He also contributes to Early Years and Primary SCITT, Teach Direct and university PGCE programmes. Whether working directly with teachers and senior leaders in schools or writing new learning and teaching materials, David always seeks to improve the engagement and raise the performance of children and young people at all stages through the carefully planned progression of key subject knowledge, concepts and skills. David’s focus is always on learning and in particular on identifying challenging subject outcomes which are made accessible to pupils through key question led enquiries both inside and outside of the classroom. He has particular expertise in designing cross curricular learning programmes which integrate the teaching of English and Mathematics as part of relevant and engaging investigations which support pupils to study places, issues, people and events at depth rather than on a superficial level. His enquiry-based approach teaches important subject knowledge whilst emphasising the significance of teachers allowing time and opportunity for pupils to master key subject skills and outcomes by ‘doing less better’. 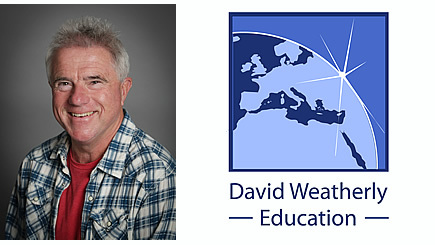 David has been a Harper Collins author at primary and secondary levels for many years and his Primary Connected Geography framework published in 2016 was highly commended by the Geographical Association and was his third such publications award. 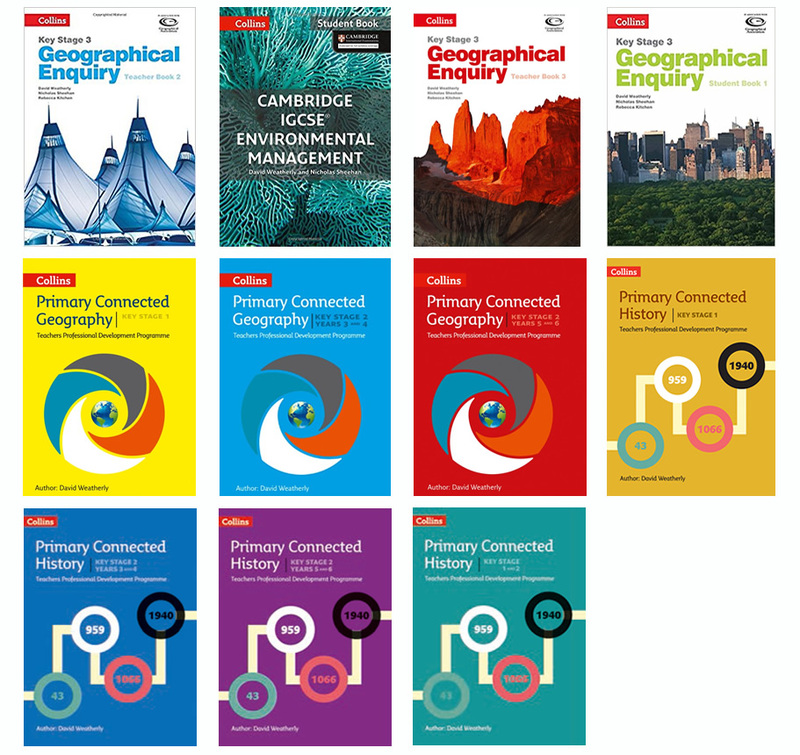 The corresponding Primary Connected History scheme was published in 2018. As well as Geography and History David also has particular expertise in developing Education for Sustainability (encompassing environmental education, global citizenship and outdoor learning) and associated sustainable schools programmes. In addition to his national programme of Geography and History training David also provides bespoke support to individual or federations of schools and to subject leaders across the United Kingdom and internationally. He teaches regularly. I came on your course in January - in fact I also came to one the year before. I just wanted to let you know that I just presented my subject audit to staff and senior management and it was very well received. Lots of people were inspired and it is down to your course. We now have a really clear vision for Geography and we are looking forward to getting together and revitalising our planning for September. We have a lot of changes to make, but the positivity I am getting from people is awesome. I just wanted to say thank you for your help and for inspiring me. Your courses have honestly been the best I have been on in my career. A fantastic, inspirational course which, as a deputy and English subject leader, I found matched what we want to do in school perfectly. A wonderful antidote to today’s education ‘policy’ - thank you so much. The discussion of the skills that the children needed (at a teacher level) and the assessment teachers should be planning and looking for (at a co-ordinator/managerial level) was beautifully, simply and eloquently presented! Fabulous day with enthusiastic and informed presentations with relevant information throughout. When is the next one? Realised the importance of geography. Great presenters – inspiring! I am not the Geography co-ordinator. However, I really enjoyed the day and loved how I could relate it to my Early Years base. Stunning. This course has really given me confidence as a subject co-ordinator. This course has given me lots of ideas for making geography more exciting, relevant and engaging for the children at my school. As someone new to the geography co-ordinator role this day has given me a good starting point to my work in my school. I now have a very clear idea of what outstanding geography looks like. An inspirational course – especially for a non-geographer in the process of converting to the faith! A fantastically positive day. I have so much to take back to school. Thank you. Brilliant. An excellent session. A most informative and inspirational course. It was great to have the space to think. Thank you. Some really great ideas shared that can be adapted easily. Great banter! It was really good to see the theory put into practice. I feel full of ideas to take back to school and begin inspiring the children to explore their world. The most useful course I’ve ever been on. A great day with so many ideas for teaching outstanding geography in such a fun way! Great to have the framework explained and good practice explored. One of the most helpful courses I’ve ever been on.